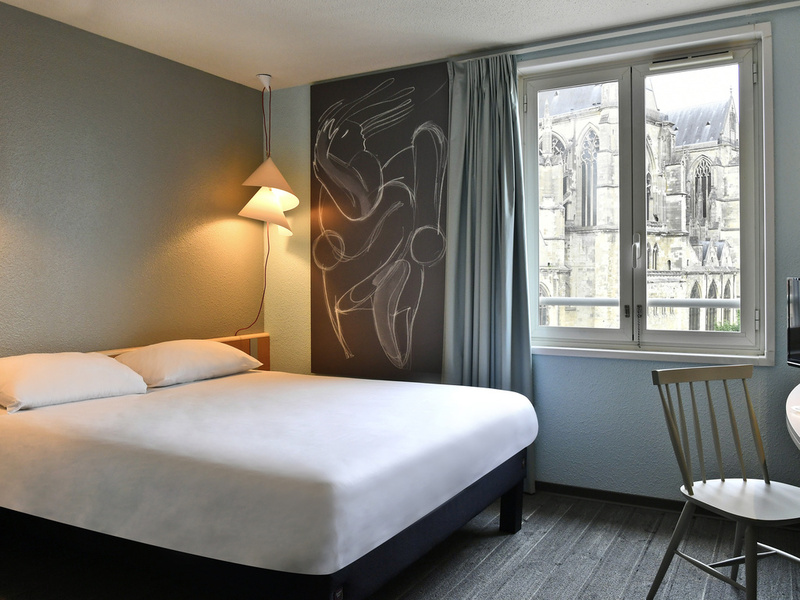 The ibis Saint Quentin Basilique hotel is located in the heart of a city famed for its art deco architecture and the capital of Haute Picardie, just 90 minutes from Paris and Belgium. It is ideally located for visits to the Basilica, the paintings of Maurice Quentin de la Tour at the Antoine Lecuyer museum, the Henri Matisse museum and the craft village of Antan, and for strolls around the Marais d'Isle nature reserve. The hotel has 76 rooms with free WIFI, web corner and Rendez-Vous bar. Relaxation is on the menu. A bite to eat, something to drink... It's the one rendezvous you need for a new take on work and leisure.